Safe dummy clips. 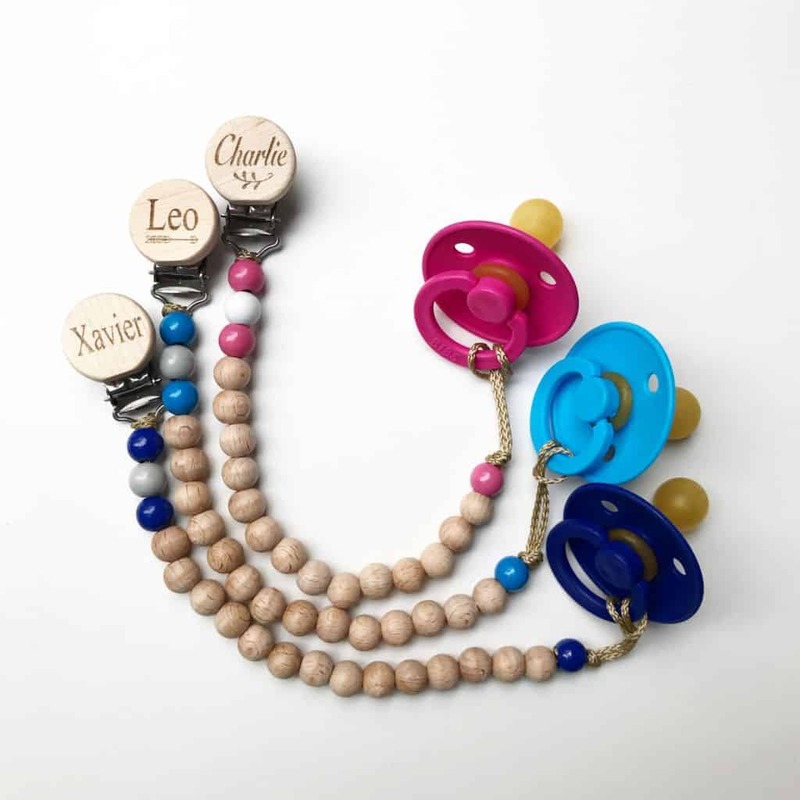 If you have a dummy loving baby, chances are you’ll need a few safe dummy chains! But how do you know which ones are safe and which ones aren’t? It seems everywhere I turn there is a new handmade business popping up online selling dummy chains. We now see handmade baby goods advertised in our Facebook groups, on Instagram, Etsy and Pinterest. They are always so beautiful and some are such a bargain! But are they safe? I can often quickly tell by looking at the photo of a dummy clip online, when it is not safe. That’s because I know exactly what I’m looking for. I have read the massive document outlining the safety standards and I have been through the rigorous laboratory testing process. It’s a tough one! When I was creating my new range I had so many aspects of it fail. I purchased metal clip components and was told by the suppliers they had passed the safety testing. They lied! I had them tested and they failed, and not by a small amount, they failed in an instant. They broke apart very quickly when tested for impact resistance, durability and tensile strength. At one stage I thought I’d never bring my unique dummy clip design to life, but I didn’t quit. 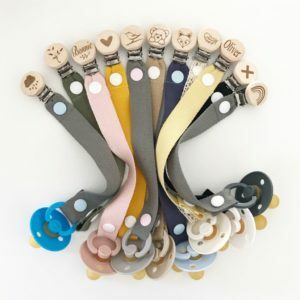 Now that I know what to look for, I thought I’d share my insights on safe dummy clips and dummy chains with other parents. It is now a legal requirement that all dummy clips sold are to undergo independent laboratory testing. Each country has its own Safety Standards and Legislative document outlining the exact details of the testing required. This document is an epic one to read! It’s not written in layman’s terms either so its sometimes difficult to comprehend how the dummy clip should be made in order for it to pass. Once you think you’ve made it as per the requirements, you send them away to be tested and keep your fingers crossed they pass. Testing each time is incredibly expensive, so you really don’t want to get it wrong. Unfortunately there are some things out of your control, like the quality of the materials used. I had 5 different brands of metal clip bases tested before I found the one that didn’t fail. FIVE! That’s a lot! Especially as three of them claimed they had passed testing!! So, what are the independent laboratories actually testing for? A dummy chain must not be longer than 22cm from end to end, this doesn’t include the clip. That’s a simple one. So you’d think! It also needs to meet this requirement when it’s stretched under a certain tensile strength. So our faux leather chains are much shorter in order to cater for this stretch. So if you have a dummy chain longer than 22cm, throw it in the bin. Its dangerous and your baby could be strangled. As well as length, other things tested are the width of the strap or beads, the length of exposed cord and cord thickness and the size of the press-studs if they have these. This is the test where they drop a really heavy weight on the dummy chain from a certain height, five times. If any part breaks in any way its a fail. Kids can be rough so it makes sense to handle it the same way an older child might. As dummy chains are used a lot, we need to make sure they will hold up well when used properly for its life span. You should get approximately 6 months use from your dummy chain. This will however be much less if you clip it onto materials that are thicker than a thin cotton material. So it’s really important you follow the care instructions. For this test the engineers open and close the clip 1000 times on a test plate with a certain thickness and hardness of the material. That’s the equivalent of opening and closing it 5 times a day, for 6 months. Once they have performed this test, they move on to the next test. The strength test! Components of clips wear and tear with time, they are not designed to last forever. If they’re made using the correct safe metals that are non-toxic, they will be able to bend a little. Clips can stretch and lose their function to grip when they’re used on materials that are too thick. That’s why we suggest you share the care instructions with any family, friends or day care staff that will care for your child. They need to know how to use it properly for safety, and to extend the life of the clip. If your clip can be pulled off clothing by bubs, throw it in the bin and replace it. The clip has either been over stretched or is worn out and is no longer functional and is therefore unsafe. In order for a dummy chain to pass this test, it needs to have a 10kg weight hung from it and not break. That’s the same weight as a 12-18month old toddler, or a massive bag of potatoes. Remember this test is conducted after it’s already taken a beating from the other two durability and impact resistance tests listed above. It’s quite a lot of force, and we searched high and low to find a metal clip that passed! Our chains are hand made to perfection and passed this too. Every dummy chain sold must come with packaging that contains information about warnings, safety and care and manufacturer details. It also needs to state the Safety Standard it has been tested for. In Australia, this is the DIN EN12586:2007+A1:2011. 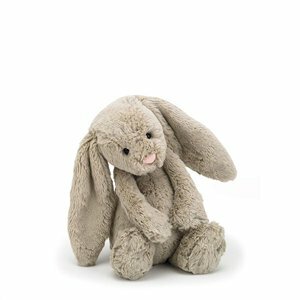 Child use and care articles -Soother holder standard. If your dummy chain came with minimal information, it’s not safe. Those are the main tests. There are so many more, way too many from the 56 page DIN EN12586:2007+A1:2011 document to mention here. One of the last tests I will talk about relates to the size and shape of the clip or fastener. This one is pretty important! Well, they all are, but this is the one I see used the most incorrectly on handmade dummy chains! If the top of the clip size (usually a wooden, plastic or metal top) is larger than 2.5cm, it needs to have ventilation holes. The number of ventilation holes varies according to the size of the clip. The ventilation holes also need to be a certain size. This is unbelievably important because if a clip is to come off and end up in the child’s mouth, air needs to be able to pass around it or through it so the baby doesn’t choke. I see sooooooo many clips out there that are way too big with either not enough ventilation holes or none at all. If your clip top is larger than 2.5cm and has no ventilation holes, or ventilation holes smaller than 4mm in diameter, throw it in the bin. If your baby removes their clip from their clothes and puts it in their mouth, they may choke. 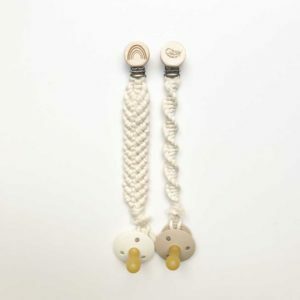 My goal was to create a unique clip that is small, safe and beautiful for your baby in a range of chain styles. I wanted the actual clip to be small and as lightweight as possible. My range needed to compliment baby’s outfits and not over power them. Other store’s dummy clips are huge in size, chunky is width and the weight of them can pull a baby dummy out of a newborns mouth. I wanted something different. I worked unbelievably hard and paid a lot of money to test and create the clips I sell today. It took more than a year to design and source the correct components, even the screws I use needed to be perfect. It then took another 6 months of ongoing testing and redesigning to achieve my goal. I’m proud to say I think our beautiful pacifier clips are the best on the market! They are safe, strong and beautifully made from the best materials available. Our unique safe dummy clips and dummy chains in their entirety have been tested and passed the required safety standards of DIN 12586:2007 + A1:2011. 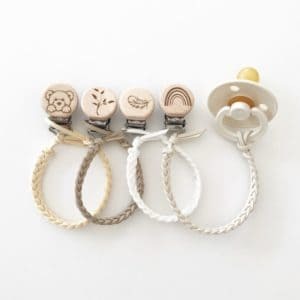 Child use and care articles -Soother holder. Each wooden top is made from a lightweight hardwood and is only 2.3cm wide and only 6mm high. This is smaller than the maximum size clip that does not require ventilation holes. They are super smooth to touch and will never splinter. Our growing team of mum’s hand make each chain in our range of materials, and I complete the rest. I design each baby name and image for every customer’s dummy clip. 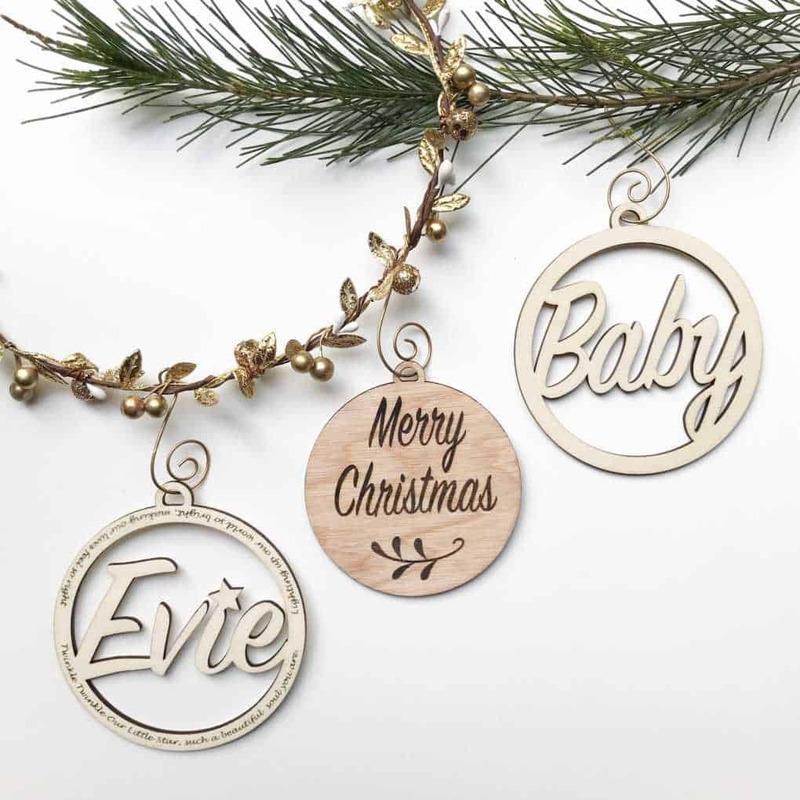 I then use a laser cutter to etch the designs and baby names on top. Our wooden dummy clips are left in a raw state so there is no varnish or wax on top. 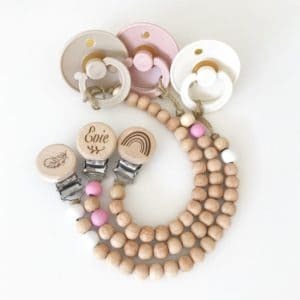 Parents can easily open our pacifier clips, however they are super tough for little fingers. Our safe dummy clips and dummy chains are a Registered design. They are therefore the intellectual property of Our Little Helpers and furthermore are subject to copyright laws. I hope the information provided has helped you understand the importance of choosing a safety tested and certified dummy chain. I also hope it makes small businesses realise they’re risking the lives of children by making and selling unsafe dummy chains. 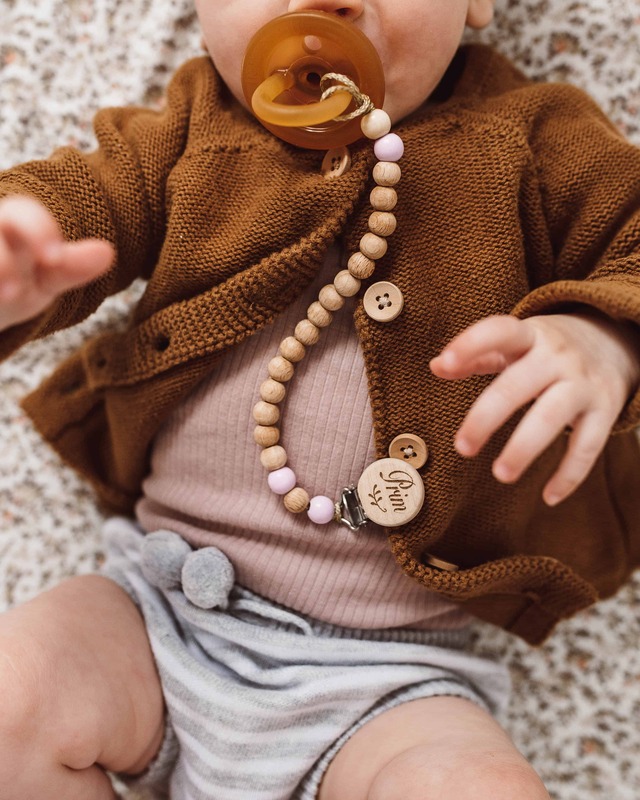 Purchasing a cute cheap chain from eBay or Etsy or any other online page or market stall simply isn’t worth the risk to your baby. Now you are armed with all the information needed, you’ll now have a better idea of what to look for. The surest way to know if you’re purchasing a safe dummy chain (as a completed chain) is to ask. Ask the shop to show you a copy of they safety certification. If a shop tells you they are safe or have been tested, don’t just take their word for it, ask them to prove it.